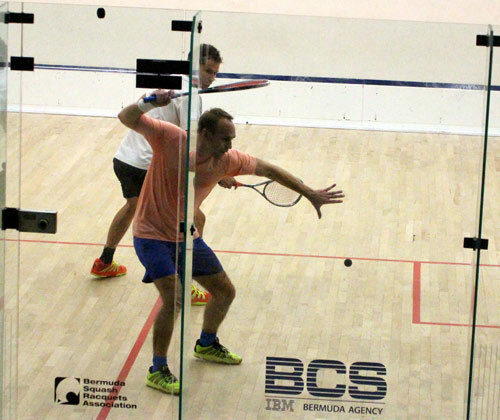 It was the final night of the BCS-IBM BSRA 2015 Club Championships as the tournament came to an end at the Bermuda Squash Racquets Association Club. In the Men’s Open Division, John Fletcher defeated Thomas Sherratt in three straight games 11-7, 11-7, 11-9. The Ladies Open Division final saw Laura Robinson take on Rachel Barnes. The Men’s Veterans final, saw Murray Brewer defeat Anthony White 11-7, 11-8, 12-10 and the Ladies Veterans final was won by Denise Kyme who defeated Suzanne Rose 11-8, 11-5, 8-11, 11-8.